Seller moving to Florida and has to leave this beautiful 1 year old home built on a private lot with ten acres. 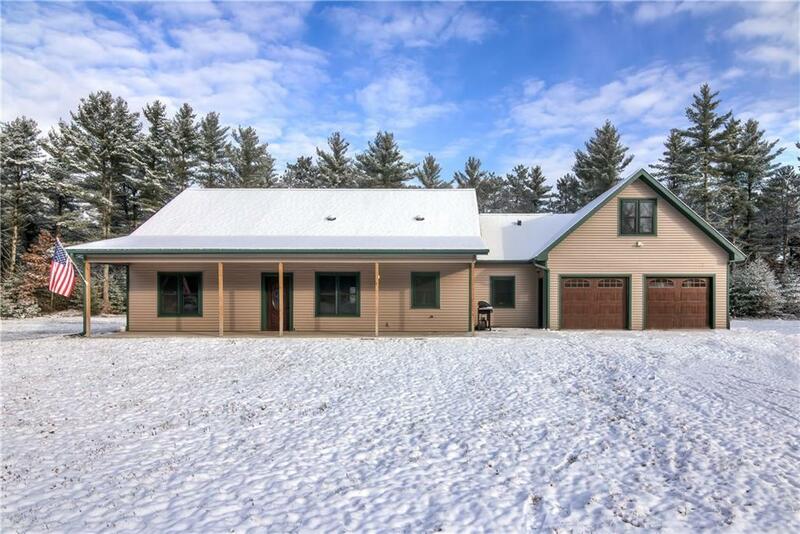 This 3 bedrooms,/2 Bath home has many great features to include: in-floor heat, bamboo flooring, Vaulted ceilings, custom kitchen counters, main floor laundry, Custom interior knotty pine walls and ceilings harvested from trees on the property, and attached 2 car garage with bonus room above. Sit under the large covered porch and take in the beautiful sunsets after a long day.